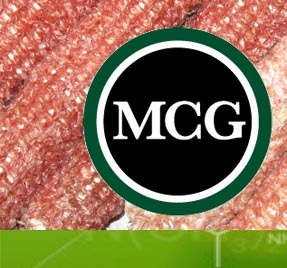 MCG BioComposites offers the following datasheets with details. Each datasheet is in Adobe® Acrobat Reader® format, so you will need the FREE software available here. Select the datasheet(s) you are intersted in, provide your name and email address and you will be sent a link to download the datasheets direct to your computer. 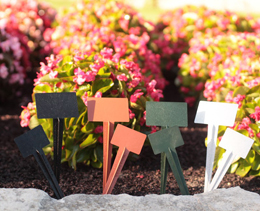 Plant markers for the eco-friendly gardener in mind! Made with proprietary blend of biomass and recycled plastics that is stronger and more durable! Material produced by our compounder. 20% blend of corn cob fiber and copolymer polypropelene for injection molding. A proprietary blend of wheat starch and polypropylene for injection molding applications. Contains 50% wheat starch by weight, however, a range of properties can be achieved by altering the starch to plastic ratio and by the inclusion or admission of other updateitives. Formulations can range from 30% to 65% starch are available upon request. 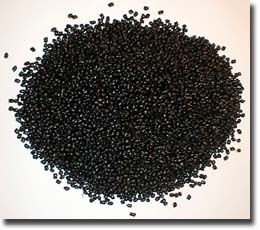 A proprietary blend of wheat starch and polypropylene for injection molding applications. Contains 65% wheat starch by weight, however, a range of properties can be achieved by altering the starch to plastic ratio and by the inclusion or admission of other updateitives. Formulations can range from 30% to 65% starch are available upon request. A proprietary blend of corn cob fiber and biodegradable polyesters for injection molding. Great material for horticulture applications for small pots and plant trays. •	The natural look of corn cob is a visual reminder that the maker will safely return to nature after it’s useful life is over. •	A blend of certified compostable polymers gives the product the physical structure and integrity required for satisfactory performance without harming the environment. •	80% biobased means the material is renewable and 80% reclaimed content illustrates the resourceful reuse of materials that would otherwise be landfilled. •	The material is formulated and produced in the United States and the finished product is manufactured here as well; reducing the carbon foot print of the entire finished product. •	Degradation rate will vary depending on the exact environment it is in, as a combination of temperature, moisture, and microbial activity. A propretary blend of pine wood fiber and reprocessed polypropylene for injection molding applications. Contains 30% wood fiber by weight, however, a range of properties can be achieved by altering the wood to plastic ratio and by inclusion or admission of other updateitives. Formulations containing anywhere from 30% to 60% wood are available upon request. Terratek BD resin is a proprietary blend of natural and synthetic biodegradable polymers. The resins are made with ingredients which pass industry standards for composting. By altering the ratio of the natural to synthetic biodegradable polymers, a wide range of properties can be generated including heat tolerance.